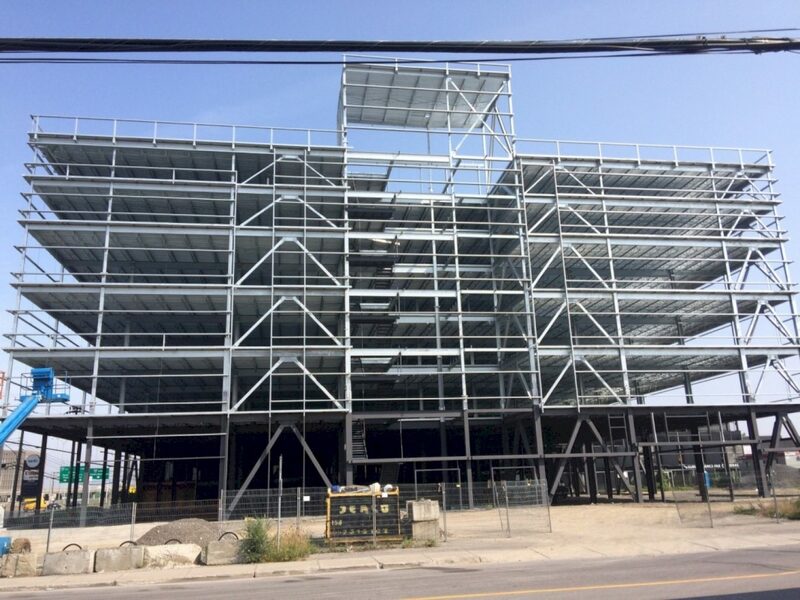 When Gabriel Group, one of the largest owners of car dealerships in Canada chose to build a new Mazda dealership in the heart of Montreal one thing quickly became evident; they would need to build a parking structure to store inventory as large tracts of land were not available in this densely developed area. 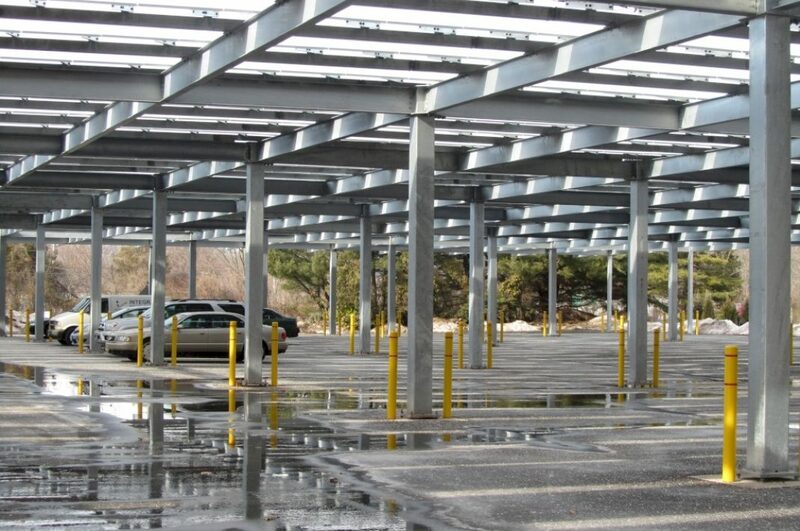 You would be hard pressed to envision a more corrosive environment than a north-eastern indoor parking garage. For almost six months per year every car that enters leaves a trail of melting salt and sand encrusted slush. This fills the garage with fully saturated corrosive humidity and pools of even more corrosive liquids seeping into every crack and crevice. 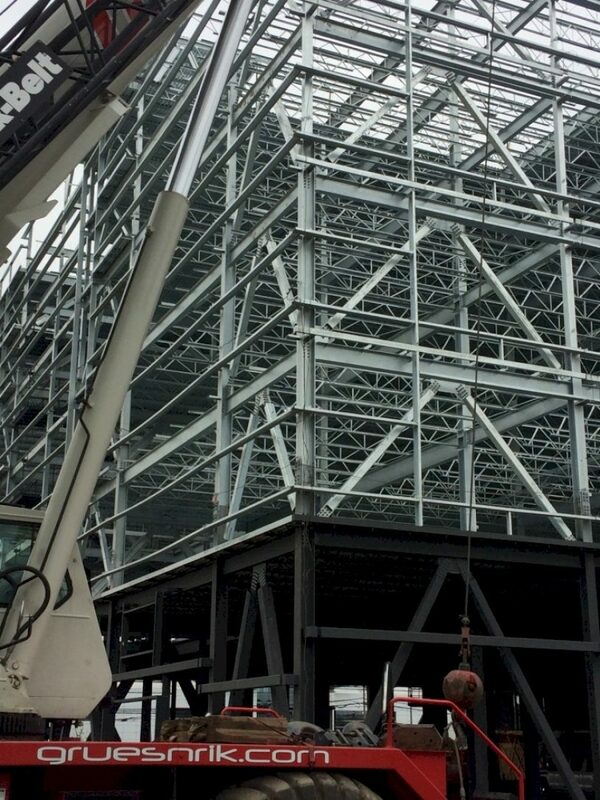 This petri dish of corrosion creates a maintenance nightmare and as collapses in recent years have shown; a potential safety disaster for poorly protected structures. 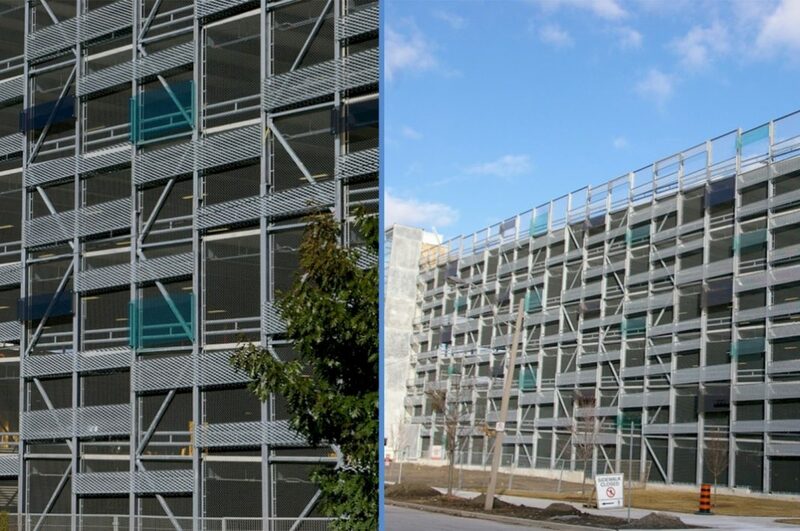 Gabriel Group recognized this challenge and realized after much research that Hot-Dip galvanizing was the solution. Apart from the obvious winning value-equation of Hot-Dip (low initial cost, ease of use, very long service life and nearly maintenance free) they also saw as retailers that the modern visual appeal of zinc coated steel played well with the desired image of brand new hi-tech automobiles. Many cities are witnessing residential redevelopment of their inner cores as upscale condos replace decay. Car dealers are following these young and affluent consumers and urban density means these dealerships are going vertical. 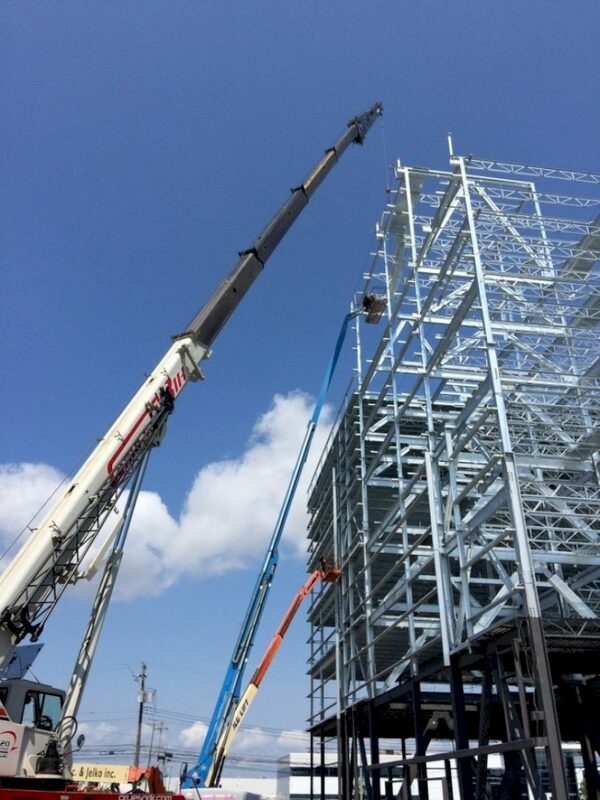 This is an exciting new market for galvanizing. 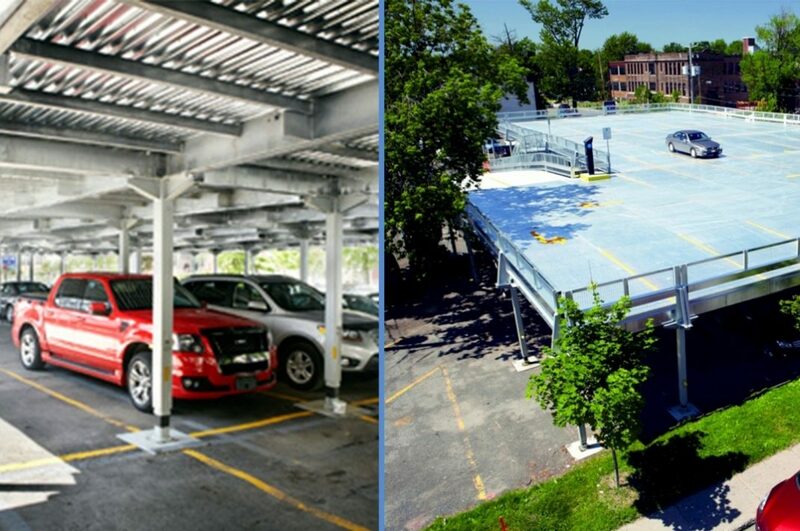 This galvanized parking structure will provide Gabriel Group not only with a practical storage facility blessed with a long and simple service life but also an attractive weather protected venue to show potential car buyers their full inventory. 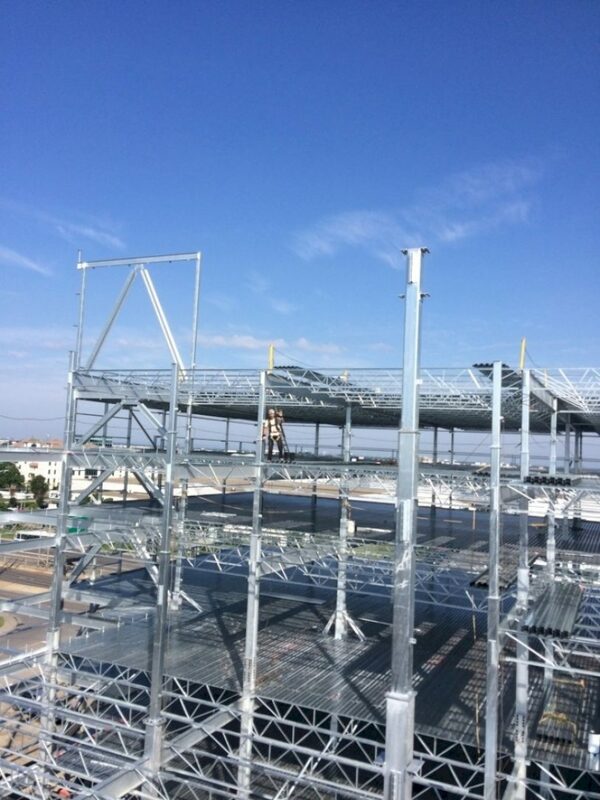 Hot dip galvanized was chosen for the parking garage section of this new car dealership.